Rep. Ilhan Omar (D-MN) used what critics call "anti-Semitic tropes" in a tweet and is apologizing for it, according to CBN. She said: "My intention is never to offend my constituents or Jewish Americans as a whole. We have to always be willing to step back and think through criticism, just a I expect people to hear me when others attack me for my identity. This is why I unequivocally apologize." 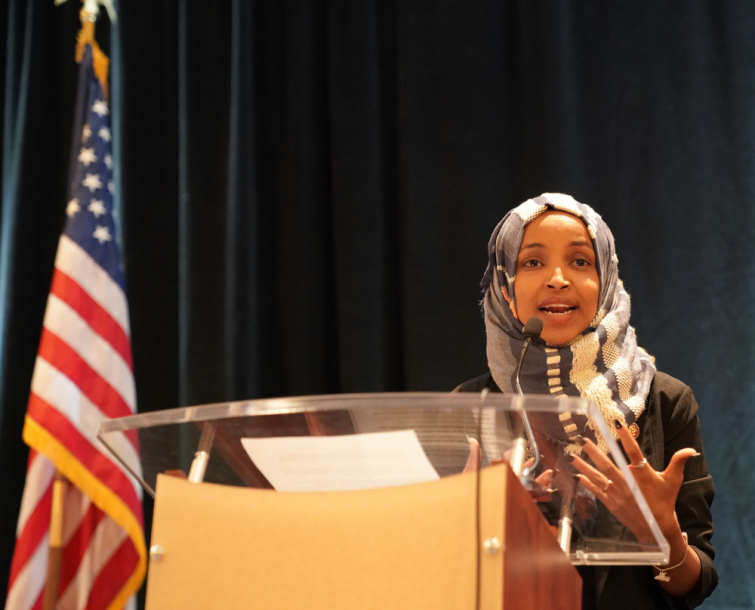 It started when Omar, one of the first two Muslim women elected to Congress, suggested the American Israel Public Affairs Committee is paying lawmakers to support the Jewish state, tweeting Sunday, "It's all about the Benjamins baby." Omar tweeted these words in response to a tweet by journalist Glenn Greenwald. Greenwald had criticized GOP leaders for targeting Omar and another Democratic Muslim lawmaker, Rep. Rashida Tlaib, for being openly vocal in their hostility against Israel. "Congresswoman Omar's use of anti-Semitic tropes and prejudicial accusations about Israel's supporters is deeply offensive," Pelosi said in a statement issued by her office Monday and signed by other Democratic leaders. "We condemn these remarks and we call upon Congresswoman Omar to immediately apologize for these hurtful comments," the statement read. "As Jewish Members of Congress, we are deeply alarmed by recent rhetoric from certain members within our Caucus, including just last night, that has disparaged us and called into question our loyalty to our nation," read a letter from the two lawmakers, The Washington Post reports. "We urge you to join us in calling on each member of our Caucus to unite against anti-Semitism and hateful tropes and stereotypes," they said.